As much as I try to compose my photographs before I take them, I never see everything that's in the frame. Sometimes I shoot too quickly when breezes threaten to jiggle a perfectly lit petal or just as I'm about to squeeze the shutter release, two other photographers walk right into the edge of the shot. Thanks to digital cameras, I can review the images I just took and catch most of the more blatant blunders. However, I firmly believe that the invisible garden imps almost always add a little something just before I upload my day's work to the computer. Then the nasty little buggers wait for me to start post-processing and have a laugh. Did I take that? When? I didn't take that! Why didn't I see that leaf, person, tree, humungous bee? What's that stick coming out of Ingmar's head? Did a bird poop on that David Austin Rosa ‘Ausleap’ Sweet Juliet? When? You get the idea. At least I've made progress. 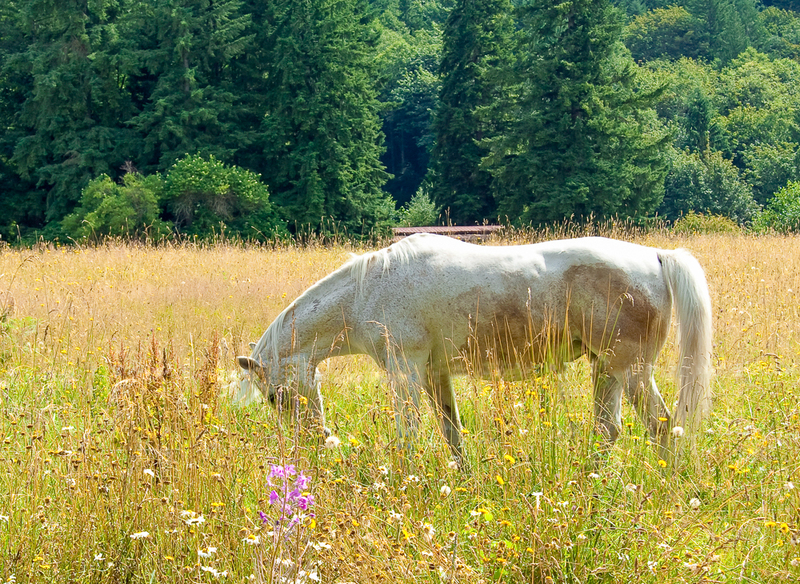 Four years ago, this horse photo gave me a lot of experience in corrective post-processing. Along with other, minor problems, there was a big honkin' fence running across the lower third of the horse. It didn't look rural or vintage. It just looked bad. And it took FOREVER to get rid of while leaving all the horse bits and each bloody blade of grass intact. I learned a lot from that and gained a lot of skill. And when I had the chance to have a sort of well-known photographer give me feedback on my work, of course I included that shot. He said it was nice (oh no, kill me now), he said it had a romantic feel to it, and then he asked, "What's that big wooden bench-like thing on the horse's back?" Huh? Where? Damn. I looked at every inch of that photograph for HOURS. How did I miss that? What IS that? "You've got to look at your images more carefully," was what he said. Yup. Today I was outside with my macro lens taking pictures, hoping for some bloggy inspiration. 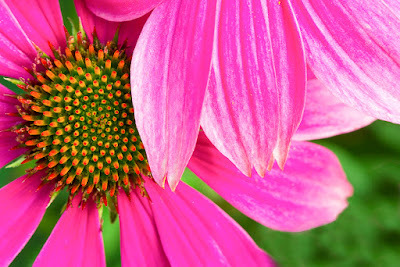 One patch of Echinacea was doing well, so I set up a tripod and started shooting. Bright, cheery, colorful, blah. Finally, I changed my angle and tried for a dive into the center of just one specimen. I was concentrating so hard on getting all those little florets in the head of the flower in focus that I didn't look at what else was going on, figuring I'd just crop out everything else. However, the imps had other ideas. The only shot with the inflorescence in semi-decent focus had petals from a neighboring Coneflower flopping over a third of it. When did THAT happen? Did I want to spend an hour trying to clone out those petals and clone the florets back in? Not really. I was just about to head outside to reposition and reshoot, when it hit me: I like this image. It's a lot more interesting than the one I'd planned. Well OK then! 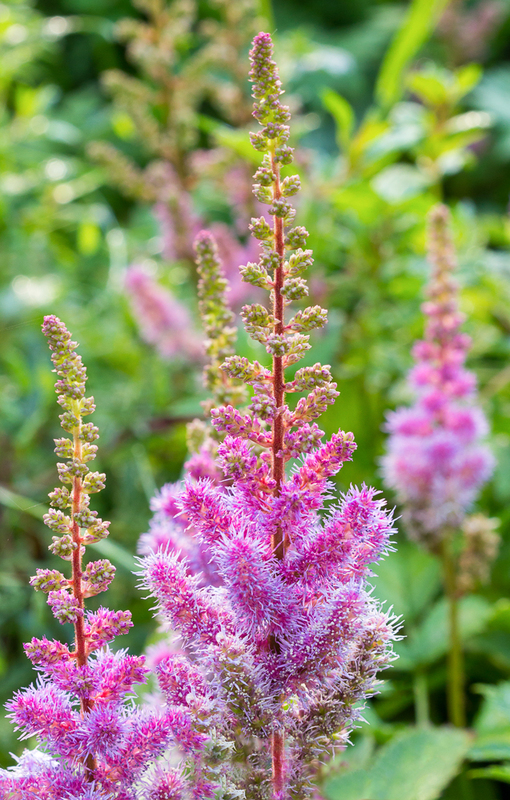 I also spent time experimenting with these Astilbe chinensis. Unlike their feathery cousins that come up in spring, these nubbly ones really get going by mid-summer. I wanted to emphasize the nubbles, but wasn't having a lot of success. They're pretty and look like what they are, but something was missing. Not that I had a clue what that was. Once more the imps had their way with me. When did I take this shot? Was I standing above the plant, shooting downwards? Is this a side-on view that needs to be rotated? Maybe, but I like it better this way. It looks like some sort of deep-sea creature, one of those blind ones that swims close to the bottom of the ocean in the dark. It also expresses what I like best about these Astilbes. The most common post-processing surprises are insects. Unless it flies and is a butterfly or has a stinger, I'm just not seeing it. Here's a Scabiosa, and, as a photograph, what can you say? Pretty flower, maybe, but I wanted more. Then something caught my eye--most of you probably already saw it--so I cropped in to take a better look. What IS this green-glowing critter? I really would like to know, by the way. And getting in this close, I got to share just a tiny bit of his experience of the flower, fall into another world entirely. 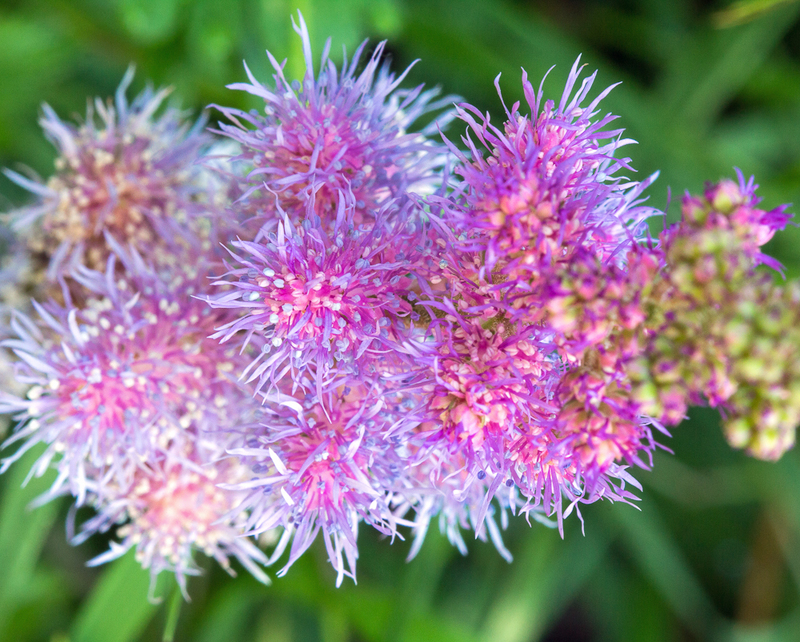 Also, the common name, "Pincushion Flower" makes a lot more sense to me now. Post-processing surprises can sometimes be the very best sort. And, yes, my personal imps don't always mean to ruin my day. 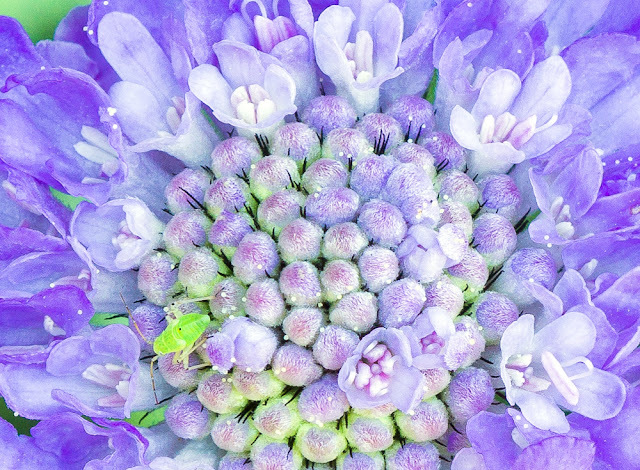 Amazing how that little green bug is color coordinated with the greens in the flower. . . or did you do that? 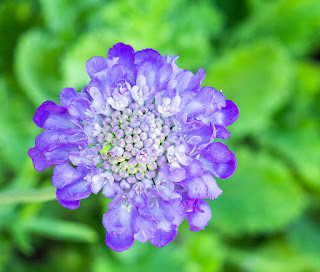 I didn't see it in the first scabiosa picture. Nope, not me. I think I slightly increased the over-all contrast in the crop, but the greens are what they were in the other picture. Making them match would have been beyond my skill-level. Maybe the bug does that for camouflage? Yes, often the shots I might consider mistakes are much better than the ones I thought would be great. Mistakes can be more interesting. I'm always catching bugs and other stuff in my shots, that I don't even see until I've uploaded them. I actually love the surprises I find when I upload. And with all the insects flying around this time of year, it gives the term "capture" (instead of "shot" or "photograph) another layer of meaning. As Lawrence Welk used to say, "Wunnerful, wunnerful!" Thanks, Ira. I appreciate it. "All things..." is one of my favorite posts. Maybe zero in on the theme by, next time, just doing a piece on the bugs on the flowers...especially once you determine the glowy green thing. They are all gorgeous Emily. And the green bug guy is delightful...so vibrant. Maybe the extras are in there to teach us to look closer before just clicking...lol. The older I get, ahem...the more stuff just slips in without my noticing it. Thanks Jen. I know what you mean about stuff slipping by. They slip by my eyes and slip by my ears and my memory is becoming a sieve! Lightroom (I know you use it too) is such a lifesaver for editing! I haven't gone "cloud" on it yet either (per your comment on someone's comment on your blog--only a little tangled up there). I think it speaks to my childhood desire for a microscope. LOVE seeing stuff really closeup. Hi Emily, many of the pictures and some of the best I've taken are flukes. There's one particular photo that I turned into a print of a trumpet of Lilium African Queen. What makes it really special is that the background turned out blue-ish and blurred, that emphasised the orange flower, but the best bit was that a hoverfly had settled on the stigma and was eating the pollen and that's where the picture focus ended up - complete fluke. Really cute and entertaining post on the garden imp. I often don't really care if there is something in the photo I know should have been missing. 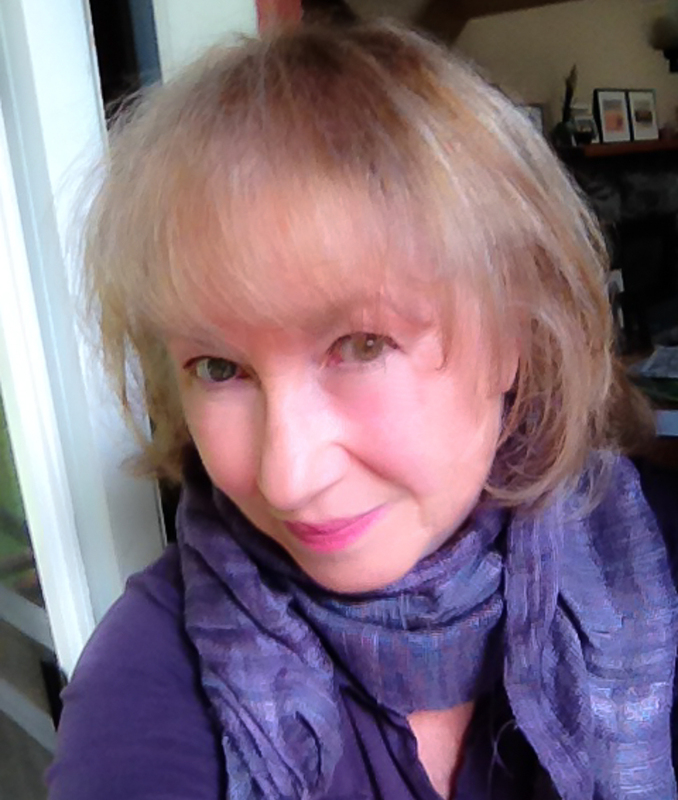 For the blog, it is no worries. If I was doing a post on composition, then I would be careful. I do love your image of the horse, but have to admit, that object on his back is distracting, but for me, I still like the photo and it was worth seeing. Thanks, Donna. When I look at it now, the wooden thing is ALL I can see!